Let’s face it. The more you hear about new trends, the more you are likely to invest. The more new trends, the more investment. At what point does a new trend matter as much or more to your business than what works consistently? One constant in Automotive over the past nine plus years of IM@CS’ existence is that trends have never given a bigger yield over strong fundamentals. As a matter of fact, we have never guided a client to any significant investment with new trends, however we have with defined trends. Trend. 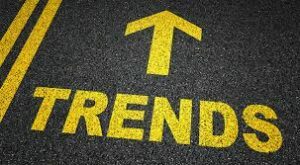 Merriam-Webster defines a trend as either to “extend in a general direction” (which we call a define trend) or “to veer in a new direction” (which we call a new trend). It is a significant new trend, and worth while, to leverage text massaging for sales and service. It won’t, however, replace email in the immediate future. We have heard speakers, trainers and consultants recommending dealerships drop email in favor of text and other messaging forms. Does text/messaging tend to receive higher open rates? Yes. Have we seen the same for sales responses? Some lift, in general, yet nowhere close to pervasive. Have we seen those eclipse results from responding to emails and communicating properly, measured in dealership CRM systems? Not yet. It was a hot new trend to jump into Display Advertising a few years ago, which we have never recommended or had a client spend more than 5% of their budget on. Results? Negligible, at best. Dealership return on investment, reviewed by those NOT taking a commission or fee, was poor at best. Lots of explanations erupted, including the “branding” argument, however the new trend diminished and many dealerships got sensible on their spends, relying more on effective search advertising, better CRM follow up on unsold customers and educating themselves on Google Analytics and other tools. New, hot trends have shown, year after year, that too much or misappropriated attention causes lapses in core business values, efficiencies and results. We do discuss all types of trends with our clients, and at the same time keep them focused on what drives more efficient spend, while recommending small investments in new tools and technology. Dealerships need to focus on better digital operation, more efficient showrooms, streamlined and engaging delivery, consumer feedback and top-down management with consistent measurement and accountability. ← Feedback: So What Exactly Does IM@CS Do?